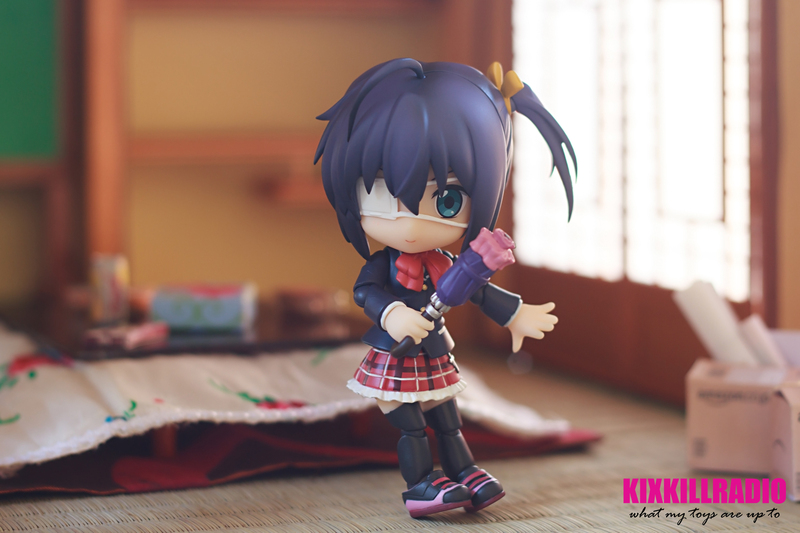 This set was also featured on Kotobukiya Facebook page, check them out here. 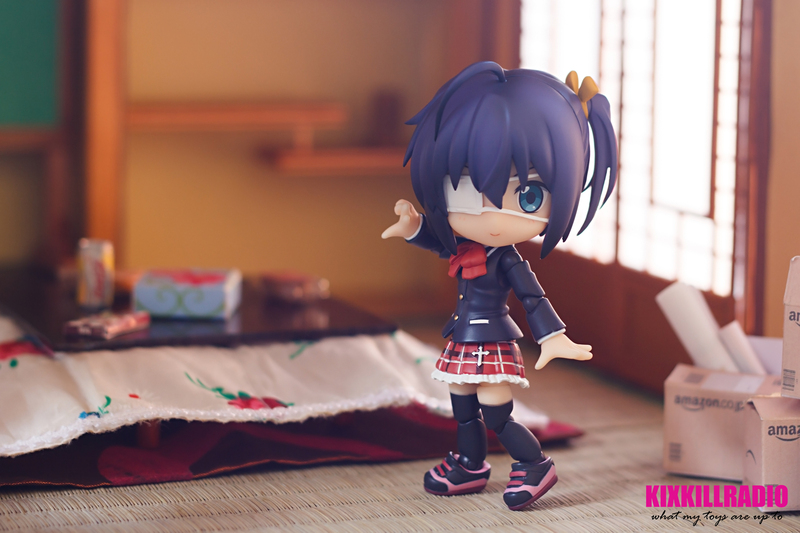 In today’s post, I am going to show you various poses of Cu-poche Rikka Takanashi by Kotobukiya. 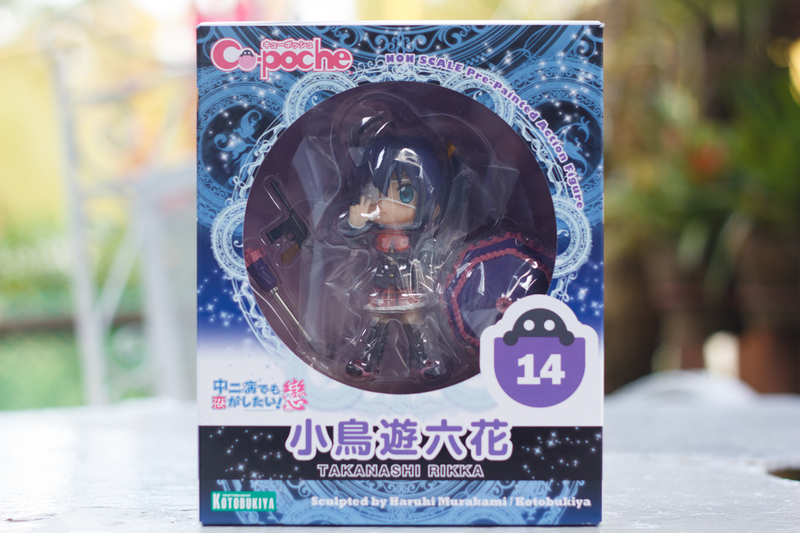 She comes with 3 face expressions: Smile face, an expression that seemed she’s up for battle and the “Oh no” face . 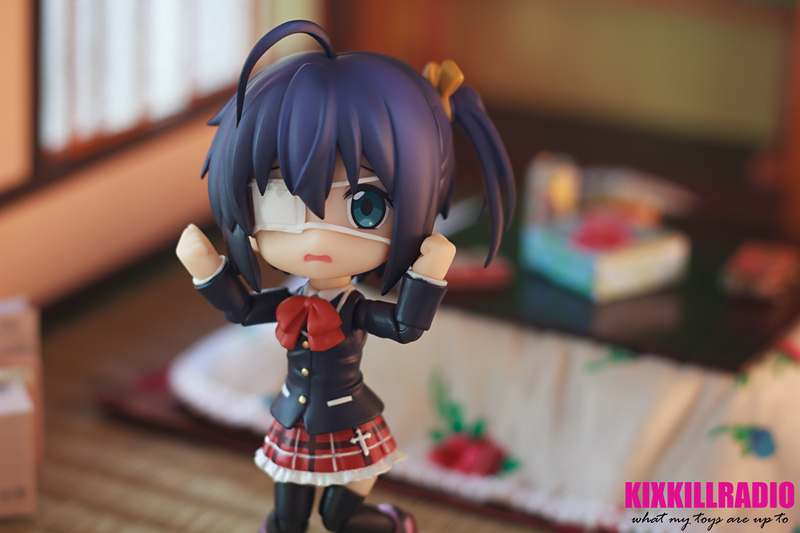 The eye patch can also be removed. 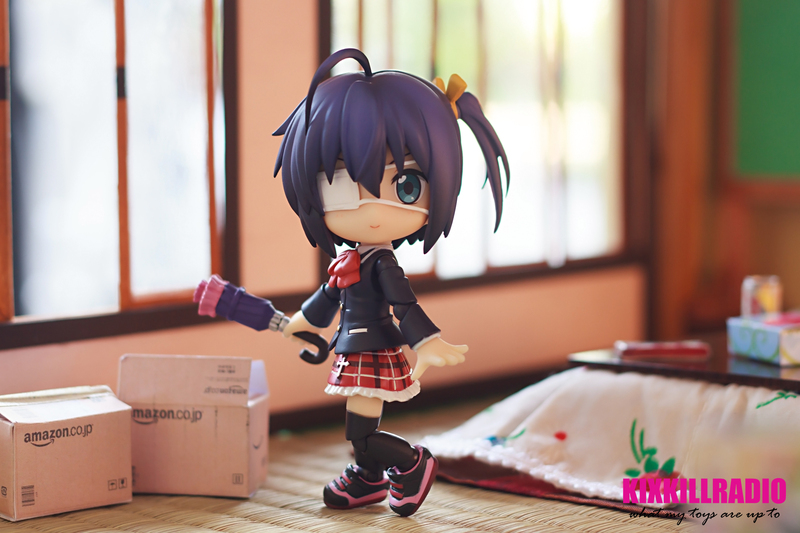 Of course, Rikka wouldn’t be the Tyrant’s Eye without her famous weapons: Schwarz Zechs prototype Mk-2 which can be displayed either in gungnir or schwarzschild mode. 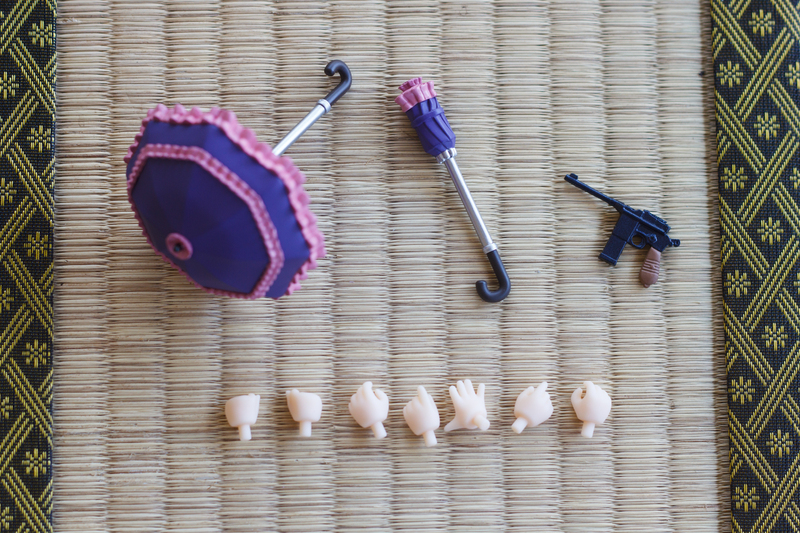 Also includes Mauser military and optional hand parts. 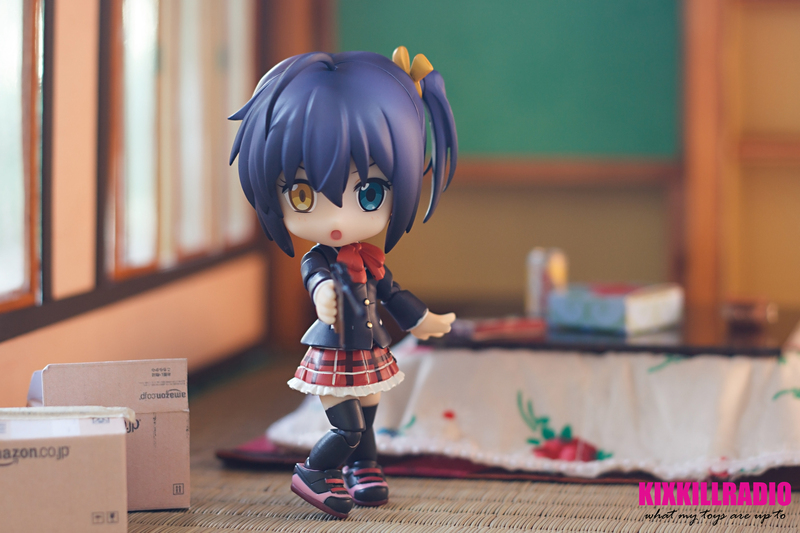 When Kotobukiya announced her release many months ago, I planned to shoot her in a club room setting where Rikka and her friends from the Far Eastern Magic Nap Society club often hangs out. 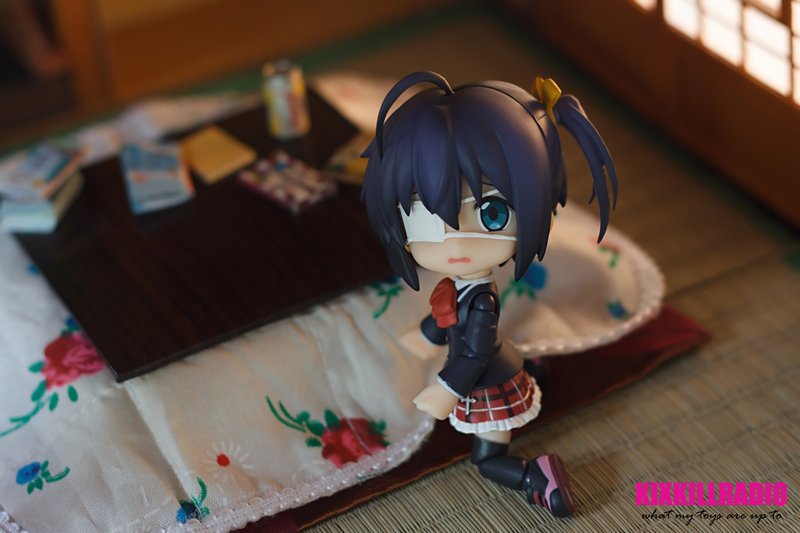 Unfortunately, I couldn’t get a material best fit for the magic star circle so I skipped that part and placed the kotatsu instead. 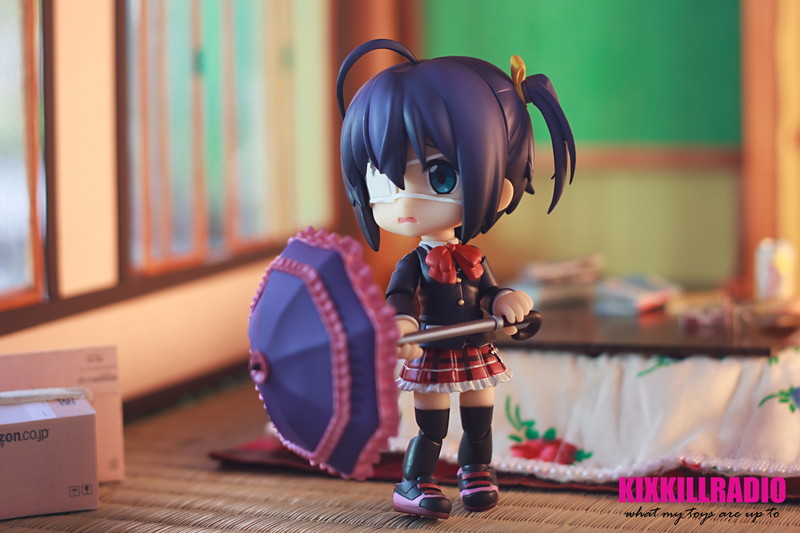 Behold the owner of the Tyrant’s Eye, the main protagonist and super cute Rikka Takanashi! 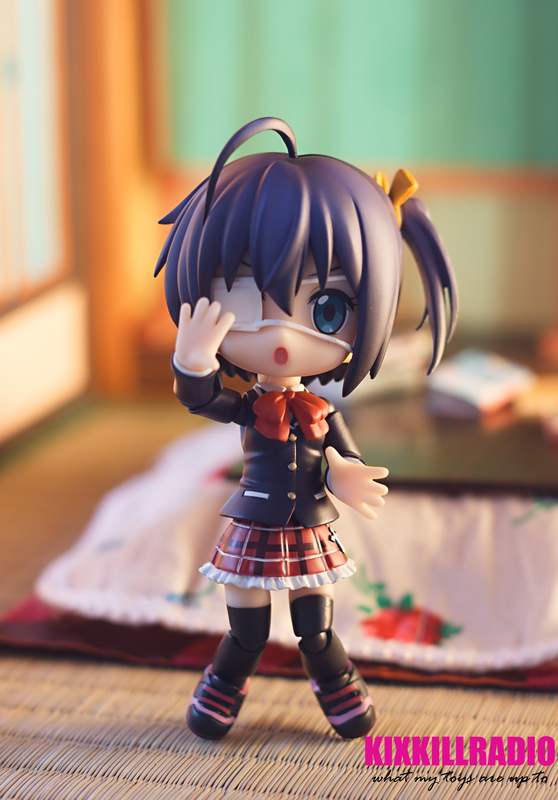 Rikka’s aho-ge and side ponytail are both posable. 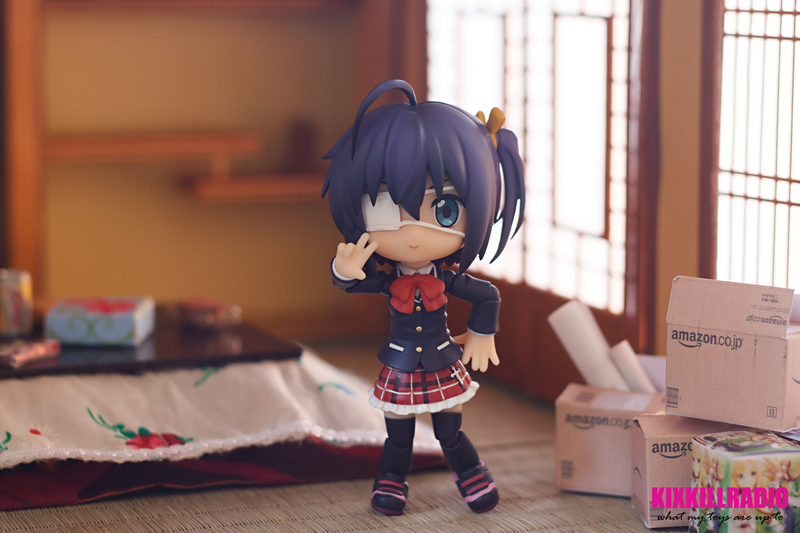 Rikka without the eye patch. 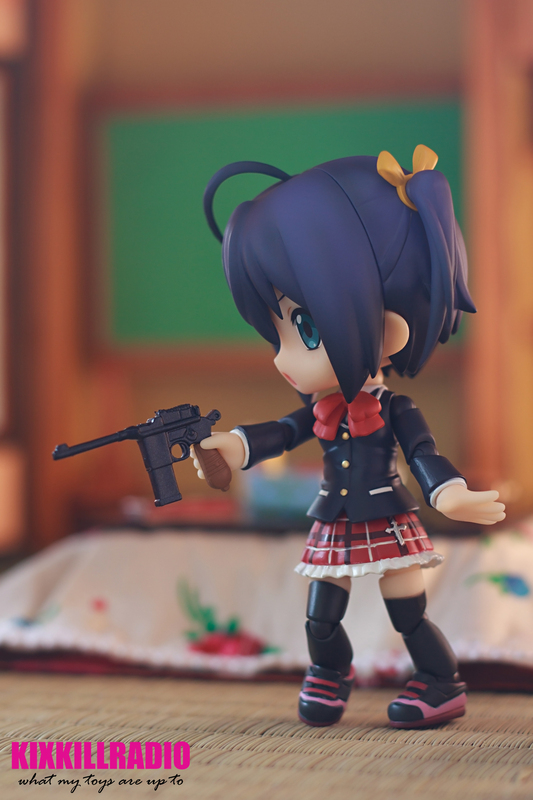 Aside from her Schwarz Zechs prototype Mk-2, she also has this Mauser c96 weapon. 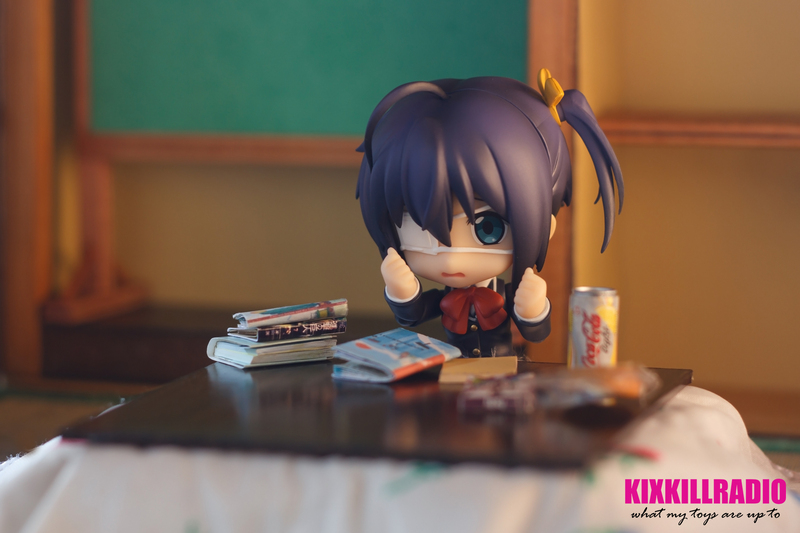 She looks really cool! I am loving this figure really much. 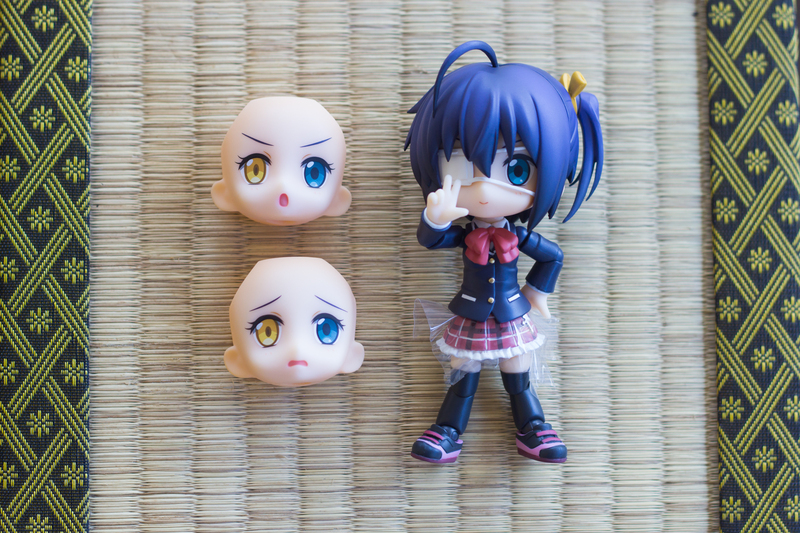 She has all the cutest face expressions and accessories. 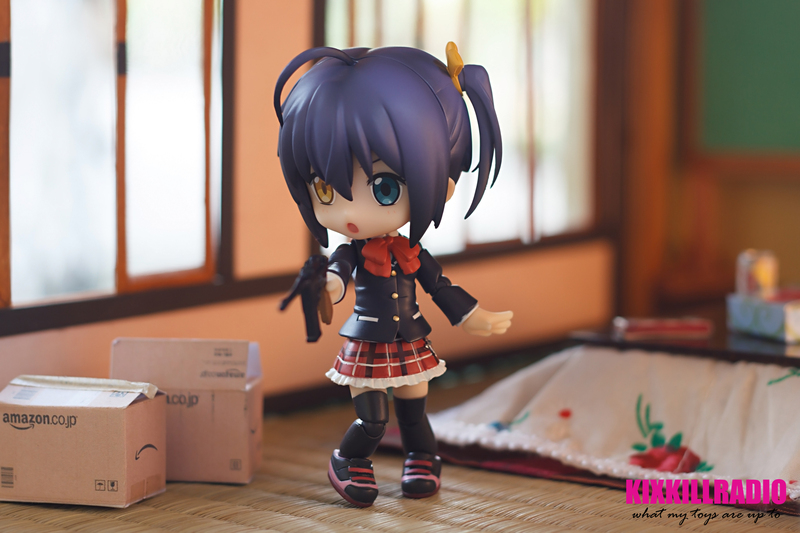 You can still get your Cu-poche Rikka Takanashi here, hurry before the stocks run out! 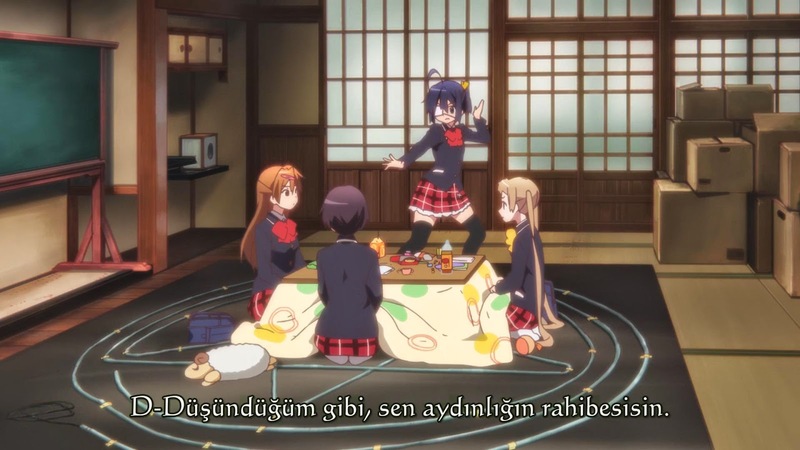 Do you watch anime with Turkish subtitles? How cute! I’m still not completely sold on Cu-poches just yet, though! I love when they give these figures weapons! 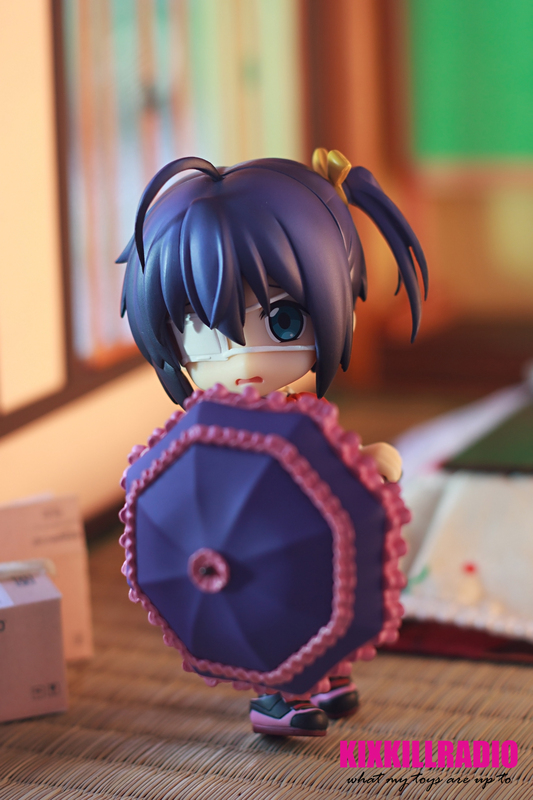 where do you even get all of these super cute background sets?